Stripgenerator.com - Don't make something beautiful broken. Don't make something beautiful broken. For the non contest of abrotons. A Great contest! Tell yourself 'It's never gonna happen again. 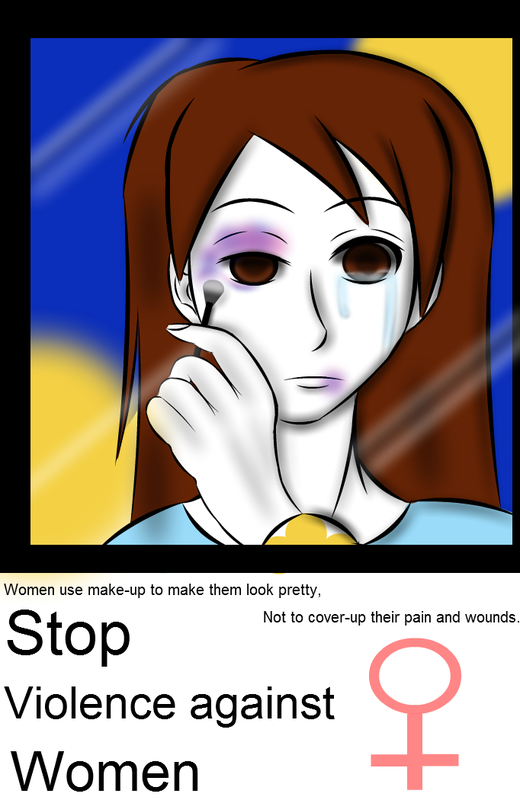 Not to cover-up their pain and wounds. Unfortunately women use makeup to look pretty because they dont know their natural beauty is there. Unfortunately women get abused by assholes, because they dont know there natural strength and freedom is there. Women don't need make-up to be pretty. Great message. Great poster! It's an perfect entry for the contest. And the message in Face Down and the song itself is so meaningfull.. You choose well!